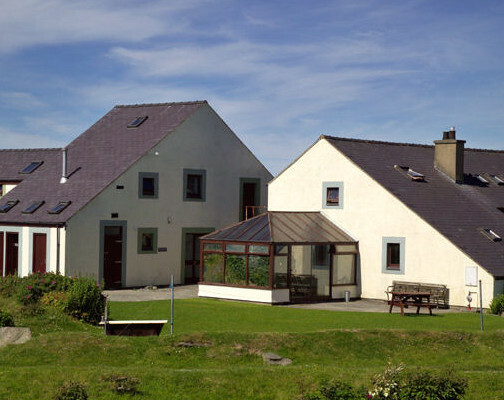 B-Active@Rhoscolyn operates from our base at Outdoor Alternative, a group accommodation provider in Rhoscolyn. Follow signs for Y Fali/Valley, continue to the road junction traffic lights. Turn left for Trearddur (Bay) B4545. After 1.3 miles turn sharp left at the ‘Silver Bay’ sign. At about 1/2 mile down this lane look for a large white gate-post appearing in the middle of the road. Follow this track 200m, Cerrig yr Adar / Outdoor Alternative is on the left, with large stone gateposts.